My mom had surgery a few weeks ago. I went down to Mississippi to be there for my mom and dad. In the south when any one passes or gets sick they bring food, lots of food….that is just what they do, they bring food! They bring all kinds….cakes, puddin, casseroles, congealed salads, vegetables, cookies, breads and deviled eggs you name it they bring it. Thank goodness they do because I love it!! I do !! Some of my mom’s friends are such great cooks. Lois made this great dish Chicken and Wild Rice we all loved it. I called her right away and begged her to share this recipe and she did ~ Thanks Lois! This is so easy, try it and your family will love it. Thanks girls for being so good to my mom ! I am so very grateful to you all!! My mom is doing so much better each and every day! Thank God! Boil chicken breast in salted water with a little garlic salt, cool and shred chicken. Sauté rice with 2 tablespoons butter then add 2 cups of chicken broth and season packet. Cook rice until just done. 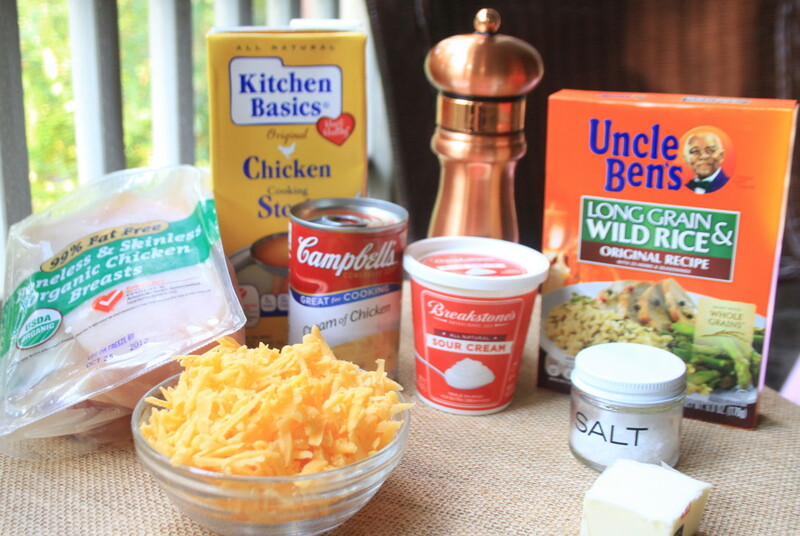 Mix chicken, rice, soup, sour cream and 1 cup of chicken stock mix well and top with cheese. Would be good with toasted almonds too…..tried it and love it with the toasted almonds. Have a wonderful day! Be sure and sign up for my emails over to the right and follow along as I play in the kitchen. Loving your recipes! Thanks for posting. Oh my word.. made this tonight .. . Delicious!!! 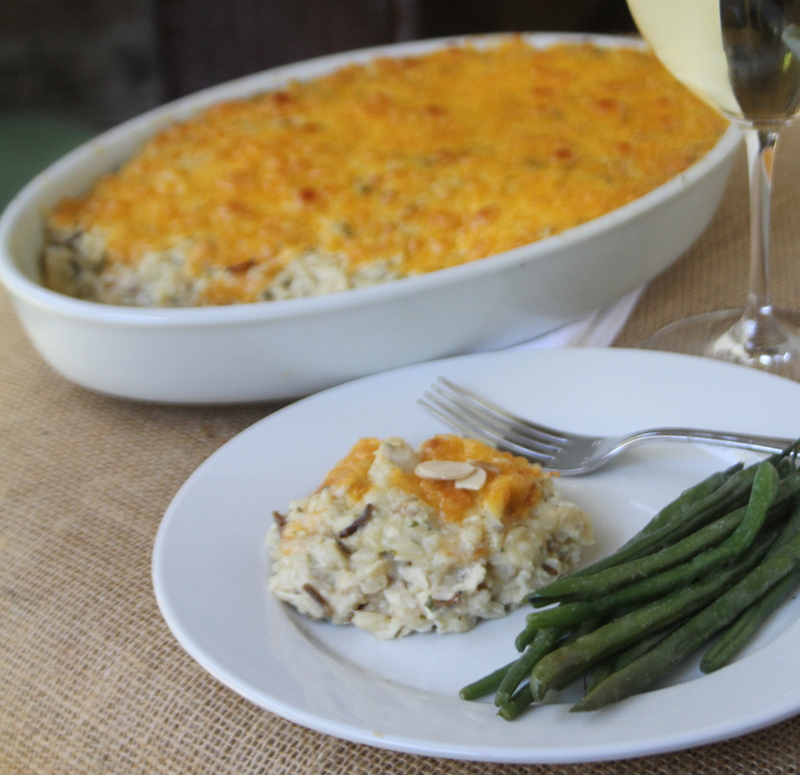 I wanted to tell you my husband and I had been looking for a good ol’, southern Chicken & Wild Rice recipe when we stumbled upon yours. Cooked it up, and let me tell you, it was an out of the park, grand slam for the Johnson family!! Thank you so very much! And I am all ears if you have any more suggestions to shoot my way! Hi there! Planning on making this recipe. How many people does this casserole feed? I am cooking for 20. 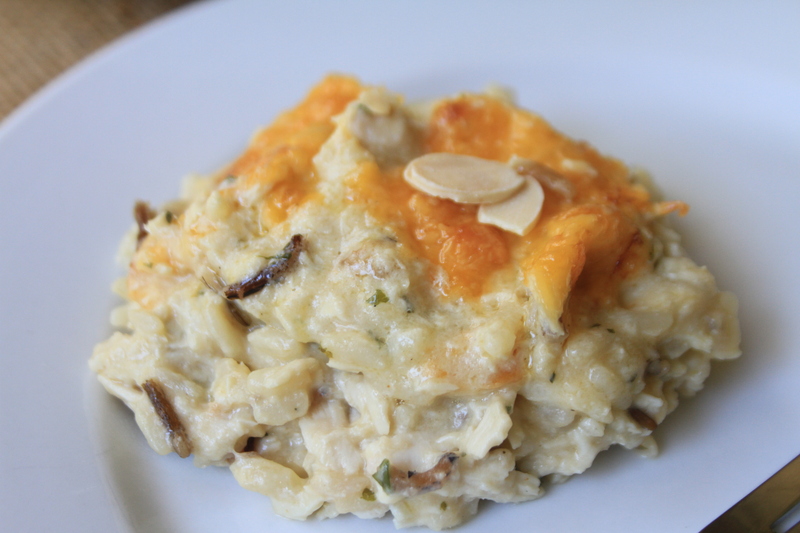 Thanks for the Chicken and Rice Casserole recipe. It is delicious!! I served it with green beans and a salad. It’s even better as leftovers.